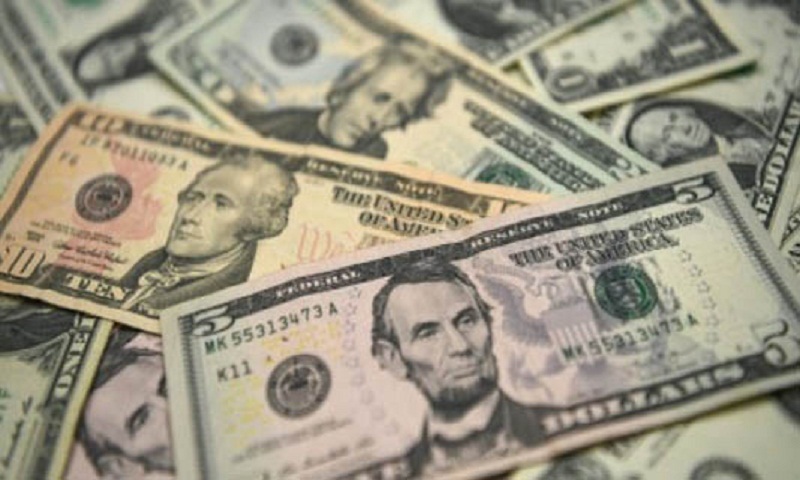 Probashbangla24 online Desk : The dollar continued to brush aside other currencies Thursday after further proof of the booming US economy sent Treasury yields surging, but Asian equities sank with more Federal Reserve rate hikes looking certain. While the greenback eased slightly on Wednesday against the Japanese unit, it continued to push ahead against others, with easing concerns about a row between Italy and EU leaders unable to staunch a sell-off in the euro. The dollar hit a fresh 20-year high against the Indonesian rupiah, while it was around 1.5 percent higher against both the Russian ruble and Mexican peso and 0.8 percent higher against the Australian dollar and South Korean won. The New Zealand and Singapore dollars and Thai baht were also sharply lower. Hong Kong lost 1.6 percent with property firms hit by concerns the higher rates — the city’s monetary policy is linked to the Fed’s — will hammer the booming real estate market. Tokyo ended the morning down 0.2 percent, Singapore and Manila shed 0.9 percent, while Seoul, Taipei and Jakarta were each off more than one percent. Sydney was up 0.5 percent while Shanghai was closed for a public holiday. However, Stephen Innes, head of Asia-Pacific trading at OANDA was upbeat about the outlook. “With positive signs gradually showing up for Shanghai and the Nikkei, Asia equities, while still pulling up the rear, should make leaps and bounds this quarter, even more if the US and China resolve their trade issues.” On oil markets both main contracts edged down after serving up yet another sharp rise on Wednesday on the back of comments from US Secretary of State Mike Pompeo and White House National Security adviser John Bolten regarding Iran that exacerbated worries about a supply hit from the region. The fact that the gains came despite a rise in US stockpiles “indicates the markets remain singularly focused on Iran sanctions and the questionableness of OPEC’s amplitude to increase production quickly enough to offset any Iran supply loss”, Innes added.